Felting is an ancient art, around 8,000 years old. Felting is the process of transforming wool into a dense "cloth". With wet felting, you use heat, agitation and moisture (usually warm soapy water) to bond the wool fibres together into a strong textile. This workshop is great for anyone who wants to try something "different." (It can become addictive!) 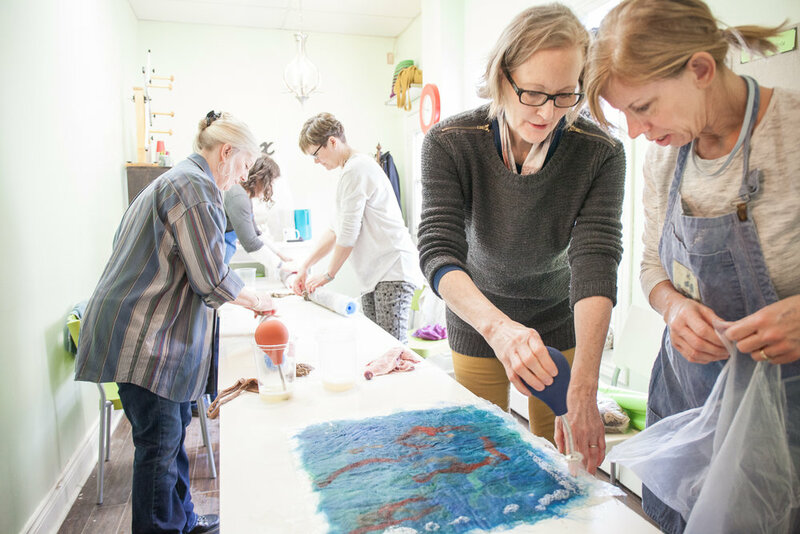 Learn the basics of wet felting in the morning session and develop your skills to create 3D felted objects in the afternoon session. Cost: $150 - Includes all equipment and fibre you will need to do the workshop. Bring a bag lunch or try one of the wonderful cafe's on our Main Street. Tea is available and coffee if requested.